Thread: Experience with LED light bulbs? We want to switch to LED lights on our 12V cabin systems everywhere possible. I just ordered a few with the Edison screw type base equivalent to 60-100W standard bulbs to try in our can lights, etc. Does anyone have any experiences or advice to share on these devices? I'm a bit at odds with what you're really asking here. The bulbs you have posted are designed for 120 vt. fixtures and power. Whereas the LED lighting utilized in our boat actually utilizes 12 volt power as provided by the battery itself no generator or power converter required. 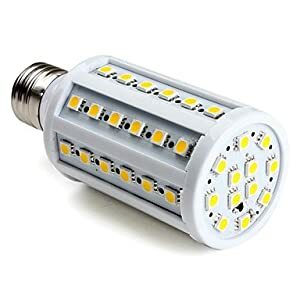 I have used some bulbs at work similar to the bottom one you posted they seem pretty bright for what they are, but the led's seem somewhat focused like little spotlights on the walls. These are 12V DC bulbs with the same size base as a standard household bulb. Our houseboat has recessed can fixtures in every room with dual bulbs per fixture; one 120VAC and one 12VDC. The glass bulbs look identical to plain old lamp bulbs! (I don't want to find out what would happen if you mixed them up.) I never knew such a thing existed. Here is the link to the LED bulbs I ordered. I will report more when they arrive. I have used and still use the 12 volt bulbs that look exactly like 120 volt ones (Zilpo55 is right, don't mix them up!). Switching to LED would be a tremendous savings of power. These seem to be a great price. 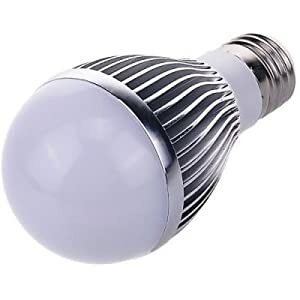 I have bought a couple of these type of LED's in the past and have paid about 40 bucks for them. Here's an update for those who might be interested. Both size bulbs put out the same multidirectional light as the incandescents. The 100W equivalent was too large to fit in our can fixtures but works great over the galley sink. The 60W equivalent works in the cans and I plan to replace those throughout. Only problem, the 60W failed quickly and had to be returned for replacement. The seller (a 3rd party through Amazon) promptly sent an RMA, but was very slow sending my replacement. The company was in Hong Kong and it was evident by the broken English in their emails. It took several emails giving them information they already had, but I finally got my new bulb which is working well. I am going to try a few more bulbs from them because the price is so good. Our boat has a bunch of these dual voltage can lights throughout. I hope to get the 12 volt bulbs switched to LED in most of them. It should buy us a lot more time on the house batteries. LED's are great, but in some cases you can get compact fluorescents in 12v for a whole lot less, and they're nearly as efficient. Mostly depends on the fixture. If it takes a "standard" screw base, you can. I always mark the base of the bulb with a Sharpie, regarding the voltage. Mixing 'em up gets exciting (and expensive). I've also found that the small battery fluorescents from big box can be easily converted to 12v if they take 8 batteries.